Learn about community-based participatory research: what it is, why it can be effective, who might use it, and how to set up and conduct it. Why would you use community-based participatory research? Who should be involved in community-based participatory research? When should you employ community-based participatory research? How do you institute and carry out community-based participatory research? Della Roberts worked as a nutritionist at the Harperville Hospital. As an African American, she was concerned about obesity among black children, and about the fact that many of Harperville’s African American neighborhoods didn’t have access to healthy food in stores or restaurants. She felt that the city ought to be doing something to change the situation, but officials didn’t seem to see it as a problem. Della decided to conduct some research to use as a base for advocacy. Della realized that in order to collect accurate data, she needed to find researchers who would be trusted by people in the neighborhoods she was concerned about. What if she recruited researchers from among the people in those neighborhoods? She contacted two ministers she knew, an African American doctor who practiced in a black neighborhood, and the director of a community center, as well as using her own family connections. Within two weeks, she had gathered a group of neighborhood residents who were willing to act as researchers. They ranged from high school students to grandparents, and from people who could barely read to others who had taken college courses. The group met several times at the hospital to work out how they were going to collect information from the community. Della conducted workshops in research methods and in such basic skills as how to record interviews and observations. The group discussed the problem of recording for those who had difficulty writing, and came up with other ways of logging information. They decided they would each interview a given number of residents about their food shopping and eating habits, and that they would also observe people’s buying patterns in neighborhood stores and fast food restaurants. They set a deadline for finishing their data gathering, and went off to learn as much as they could about the food shopping and eating behavior of people in their neighborhoods. As the data came in, it became clear that people in the neighborhoods would be happy to buy more nutritious food, but it was simply too difficult to get it. They either had to travel long distances on the bus, since many didn’t have cars, or find time after a long work day to drive to another, often unfamiliar, part of the city and spend an evening shopping. Many also had the perception that healthy food was much more expensive, and that they couldn’t afford it. Ultimately, the data that the group of neighborhood residents had gathered went into a report written by Della and other professionals on the hospital staff. The report helped to convince the city to provide incentives to supermarket chains to locate in neighborhoods where healthy food was hard to find. The group that Della had recruited had become a community-based participatory research team. Working with Della and others at the hospital, they helped to determine what kind of information would be useful, and then learned how to gather it. Because they were part of the community, they were trusted by residents; because they shared other residents’ experience, they knew what questions to ask and fully understood the answers, as well as what they were seeing when they observed. This section is about participatory action research: what it is, why it can be effective, who might use it, and how to set up and conduct it. In simplest terms, community-based participatory research (for convenience, we’ll primarily call it CBPR for the rest of this section) enlists those who are most affected by a community issue – typically in collaboration or partnership with others who have research skills – to conduct research on and analyze that issue, with the goal of devising strategies to resolve it. In other words, community-based participatory research adds to or replaces academic and other professional research with research done by community members, so that research results both come from and go directly back to the people who need them most and can make the best use of them. At another level, academic or other researchers recruit or hire members of an affected group – often because they are familiar with and known by the community – to collect data. In this case, the collectors may or may not also help to analyze the information that they have gathered. The opposite end of the participatory research continuum from the first level described involves community members creating their own research group – although they might seldom think of it as such – to find out about and take action on a community issue that affects them directly. In this section, we’ll concern ourselves with the latter two types of participatory research – those that involve community members directly in planning and carrying out research, and that lead to some action that can influence the issue studied. This is what is often defined as community-based participatory research. There are certainly scenarios where other types of participatory research are more appropriate, or easier to employ in particular situations, but it’s CBPR that we’ll discuss here. Employing CBPR for purposes of either evaluation or long-term change can be a good idea for reasons of practicality, personal development, and politics. People who are deeply affected by an issue, or participants in a program, may know intuitively, or more directly, what’s important when they see or hear it. What seems an offhand comment to an outside researcher might reveal its real importance to someone who is part of the same population as person who made the comment. Action researchers from the community are on the scene all the time. Their contact both with the issue or intervention and with the population affected by it is constant, and, as a result, they may find information even when they’re not officially engaged in research. In the personal development sphere, CBPR can have profound effects on the development and lives of the community researchers, particularly when those who benefit from an intervention, or who are affected by an issue, are poor or otherwise disadvantaged, lack education or basic skills, and/or feel that the issue is far beyond their influence. By engaging in research, they not only learn new skills, but see themselves in a position of competence, obtain valuable knowledge and information about a subject important to them, and gain the power and the confidence to exercise control over this aspect of their lives. Community researchers – especially those who are poor or otherwise disadvantaged – come to be viewed differently by professionals and those in positions of power. They have vital information, and the ability to use it, and thus become accepted as contributing members of the community, rather than as voiceless observers or dependents. They have gained a voice, because they understand that they have something to say. Furthermore, the research and other skills and the self-confidence that people acquire in a community-based participatory research process can carry over into other parts of their lives, giving them the ability and the assurance to understand and work to control the forces that affect them. Research skills, discipline, and analytical thinking often translate into job skills, making participatory action researchers more employable. Most important, people who have always seen themselves as bystanders or victims gain the capacity to become activists who can transform their lives and communities. Community-based participatory research has much in common with the work of the Brazilian political and educational theoretician and activist, Paulo Freire. In Freire’s critical education process, oppressed people are encouraged to look closely at their circumstances, and to understand the nature and causes of their oppressors and oppression. Freire believes that with the right tools – knowledge and critical thinking ability, a concept of their own power, and the motivation to act – they can undo that oppression. Many people see this as the “true” and only reason for supporting action research, but we see many other reasons for doing so, and list some of them both above and below. Action research is often used to consider social problems – welfare reform or homelessness, for example – but can be turned to any number of areas with positive results. The environment. It was a community member who first asked the questions and started the probe that uncovered the fact that the Love Canal neighborhood in Niagara Falls, NY, had been contaminated by the dumping of toxic waste. Medical/health issues. Action research can be helpful in both undeveloped and developed societies in collecting information about health practices, tracking an epidemic, or mapping the occurrence of a particular condition, to name three of numerous possibilities. Political and economic issues. Citizen activists often do their own research to catch corrupt politicians or corporations, trace campaign contributions, etc. Just as it can be used for different purposes, CBPR can be structured in different ways. The differences have largely to do with who comes up with the idea in the first place, and with who controls, or makes the decisions about, the research. Any of these possibilities might involve a collaboration or partnership, and a community group might well hire or recruit as a volunteer someone with research skills to help guide their work. Academic or other researchers devise and construct a study, and employ community people as data collectors and/or analysts. A problem or issue is identified by a researcher or other entity (a human service organization, for instance), and community people are recruited to engage in research on it and develop a solution. A community based organization or other group gathers community people to define and work on a community issue of their choosing, or to evaluate a community intervention aimed at them or people similar to them. A problem is identified by a community member or group, others who are affected and concerned gather around to help, and the resulting group sets out to research and solve the problem on its own. We’ve already alluded to a number of reasons why CBPR could be useful in evaluating a community intervention or initiative or addressing a community issue. We’ll repeat them briefly here, and introduce others as well. Action research yields better and more nearly complete and accurate information from the community. People will speak more freely to peers, especially those they know personally, than to strangers. Researchers who are members of the community know the history and relationships surrounding a program or an issue, and can therefore place it in context. People experiencing an issue or participating in an intervention know what’s important to them about it – what it disrupts, what parts of their lives it touches, how they have changed as a result, etc. That knowledge helps them to formulate interview questions that get to the heart of what they – as researchers – are trying to learn. Involving the community in research is more likely to meet community needs. Action research, by involving community members, creates more visibility for the effort in the community. Researchers are familiar to the community, will talk about what they’re doing (as will their friends and relatives), and will thus spread the word about the effort. Community members are more likely to accept the legitimacy of the research and buy into its findings if they know it was conducted by people like themselves, perhaps even people they know. Citizens are more apt to trust both the truthfulness and the motives of their friends and neighbors than those of outsiders. Action research trains citizen researchers who can turn their skills to other problems as well. People who discover the power of research to explain conditions in their communities, and to uncover what’s really going on, realize that they can conduct research in other areas than the one covered by their CBPR project. They often become community activists, who work to change the conditions that create difficulty for them and others. Thus, the action research process may benefit the community not only by addressing particular issues, but by – over the long term – creating a core of people dedicated to improving the overall quality of its citizens’ lives. Involvement in CBPR changes people’s perceptions of themselves and of what they can do. An action research project can have profound effects on community researchers who are disadvantaged economically, educationally, or in other ways. It can contribute to their personal development, help them develop a voice and a sense of their power to change things, and vastly expand their vision of what’s possible for them and for the community. Such an expanded vision leads to an increased willingness to take action, and to an increase in their control over their lives. Skills learned in the course of action research carry over into other areas of researchers’ lives. Both the skills and the confidence gained in a CBPR project can be transferred to employment, education, child-rearing, and other aspects of life, greatly improving people’s prospects and well-being. A participatory action research process can help to break down racial, ethnic, and class barriers. A member of the Changes Project, a CBPR project that explored the impact of welfare reform on adult literacy and ESOL (English as a Second or Other Language), learners wrote in the final report: “What I learned from working in this project first off is, none of us are so great that change couldn’t help us be better people... I walked into the first meeting thinking I was the greatest thing to hit the pike and found that I, too, had some prejudices that I was not aware of. I thought that no one could ever tell me I wasn’t the perfect person to sit in judgment of others because I never had a negative thought or prejudiced bone in my body. Well, lo and behold, I did, and seeing it through other people’s eyes I found that I, too, had to make some changes in my opinions. Action research helps people better understand the forces that influence their lives. Just as Paulo Freire found in his work in Latin America, community researchers, sometimes as a direct result of their research, and sometimes as a side benefit, begin to analyze and understand how larger economic, political, and social forces affect their own lives. This understanding helps them to use and control the effects of those forces, and to gain more control over their own destinies. Community based action research can move communities toward positive social change. All of the above rationales described reasons for employing CBPR act to restructure the relationships and the lines of power in a community. They contribute to the mutual respect and understanding among community members and the deep understanding of issues that in turn lead to significant and positive social change. The short answer here is people from all sectors of the community, but there are some specific groups that, under most circumstances, are important to include. People most affected by the issue or intervention under study. These are the people whose inclusion is most important to a participatory effort – both because it’s their inclusion that makes it participatory, and because of what they bring to it. These folks, as we discussed earlier, are closest to the situation, have better access to the population most concerned, and may have insights others wouldn’t have. In addition, their support is crucial to the planning and implementation of an intervention or initiative. That support is much more likely to be forthcoming if they’ve been involved in research or evaluation. Other members of the affected population. People who may not themselves be directly affected by the issue or intervention, but who are trusted by the affected population, can be useful members of a CBPR team. A businessman from the Portuguese community in a small city was an invaluable member of an action research team examining the need for services in that community. He was quite successful, had graduated from college in the US, and needed no services himself, but his fluency in Portuguese, his credentials as a trusted member of the community, and his understanding of both the culture of the Portuguese residents and the culture of health and human service workers brought a crucial dimension to data gathering, analysis, and general information about the community. Decision makers. Involving local officials, legislators, and other decision makers from the very beginning can be crucial, both in securing their support, and in making sure that what they support is in fact what’s needed. If they’re part of the team, and have all the information that it gathers, they become advocates not just for addressing the issue, but for recognizing and implementing the solution or intervention that best meets the actual needs of the population affected. Health, human service, and public agency staff and volunteers. Like the previous two groups, these people have both a lot to offer and – often – a lot to learn that will make them more sensitive and more effective at their jobs in the long run. They may have a perspective on issues in the community that residents lack because of their closeness to the situation. At the same time, they may learn more about the lives of those they work with, and better understand their circumstances and the pressures that shape their lives. Community members at large. This category brings us back to the statement at the beginning of this portion of the section that members of all sectors of the community should have the opportunity to be involved. That statement covers the knowledge, skills, and talent that different people bring to the endeavor; the importance of buy-in by all sectors of the community if any long-term change is to be accomplished; and what team members learn and bring back to their families, friends, and neighbors as a result of their involvement. There are times when action research may not be appropriate, and there are times when it’s the best choice. How do you decide? Relies on information that can’t be expressed in mathematical terms – descriptions, opinions, anecdotes, the comments of those affected by the issue under study, etc. The results of qualitative research are usually expressed as a narrative or set of conclusions, with the analysis backed up by quotes, observation notes, and other non-numerical data. Furthermore, sometimes there aren’t any numbers to work with. The Changes Project was looking at the possible effects of a change in the welfare system on adult learners. The project was conducted very early in the change process, in order to try to head off the worst consequences of the new system. There was very little quantitative information available at that point, and most of the project involved collecting information about the personal experiences of learners on welfare. In other words, neither quantitative nor qualitative methods are necessarily “better,” but sometimes one is better than the other for a specific purpose. Often, a mix of the two will yield the richest and most accurate information. What follows assumes an ideal action research project with a structure, perhaps one initiated by a health or human service organization. A community group that comes together out of common interest probably would recruit by people already involved pulling in their friends, and probably wouldn’t do any formal training unless they invited a researcher to help them specifically in that way. The nature of your group will help you determine how – or whether – you follow each of the steps below. How you recruit a team will depend on the purpose of the project as well as on who might be most effective in gaining and analyzing information. A team may already exist, as in the example at the beginning of this section. Or a team may simply be a group that gets together out of common concerns. Many CBPR projects aim for a diverse team, with the idea that a mix of people will both provide the broadest range of benefit and allow for the greatest amount of personal learning for team members. Other projects may specifically draw only from a particular population – a language minority, those served by a certain intervention, those experiencing a particular physical condition. Recruiting from within an organization or program may be relatively simple, because the pool of potential researchers is somewhat of a captive audience: you know where to find them, and you already have a relationship with them. Recruiting from a more general population, on the other hand, requires attention to some basic rules of communication. Use language that your audience can understand, whether that means presenting your message in a language other than English, or presenting it in simple, clear English without any academic or other jargon. Use the communication channels that your audience is most likely to pay attention to. An announcement in the church that serves a large proportion of your population, a program newsletter, or word-of-mouth might all be good channels by which to reach a particular population. Be culturally sensitive and appropriate. Couch your message in a form that is not only respectful of your audience’s culture, but that also speaks to what is important in that culture. Go where your audience is. Meet with groups of people from the population you want to work with, put out information in their neighborhoods or meeting places. Don’t wait for them to come to you. Given all this, the best recruitment method is still face-to-face contact by someone familiar to the person being recruited. Orientation and training may be part of the same process, or they might be separate. The two have different purposes. Orientation is meant to give people a chance to ask questions and an overall picture of what is expected. Participants’ time commitment and the support available to them, if any. Are child care, transportation, or other support services provided or paid for? Especially if the team is diverse, and especially if that diversity is one of education and research experience, an important aspect of the orientation is to start building the team, and to ensure that everyone sees it as a team of colleagues, rather than as one group leading or dominating or – even worse – simply tolerating another. Each person brings different skills and experience to the effort and has something to teach everyone else. Emphasizing that from the beginning may be necessary, not only to keep more educated members from dominating, but also to encourage less educated members not to be afraid to ask questions and give their opinions. Structure the space for maximum participation and interaction - chairs in a circle, room to move around, etc. Vary the ways in which material is presented. People learn in a variety of ways – by hearing, by seeing, by discussion, by example (watching others), and by doing. The more of these methods you can include, the more likely you are to hold people’s attention and engage everyone on the team. Use the training to build your team. Training is a golden opportunity for people to get to know and trust one another, and to absorb the guiding principles for the work. Necessary research skills. These might include interview techniques, Internet searching, constructing a survey, and other basic research and information-gathering methods. Important information about the community or the intervention in question. Meeting and negotiation skills. Many of the people on your team may not have had the experience of participating in numerous meetings. They need time and support both to develop meeting skills – following discussion, knowing when it’s okay to interrupt, feeling confident enough to express their opinions – and to become comfortable with the meeting process. Preparing a report. This doesn’t necessarily mean drafting a formal document. Depending upon the team members, a flow chart, a slide show, a video, or a collage might be informative and powerful ways to convey research results, as might oral testimony or a sound recording. Making a presentation. Knowing what to expect, and learning how to make a clear and cogent presentation can make the difference between having your findings and recommendations accepted or rejected. The questions you choose to answer will shape your research. There are many types of answers in either of these cases. Research on a community issue also may be approached in a number of ways. You may simply be trying to find out whether a certain condition exists in your community, or to what extent it exists. You may be concerned with how, or how much, it affects the community, or what parts of the community it affects. You may be seeking a particular outcome, and the research questions you ask may be designed to help you reach that outcome. Given your time constraints, the capacity of your team, and the questions you’re considering, plan your research. An action research group, like any other, can have internal conflicts, as well as conflicts with external forces. People may disagree, or worse; some people may drop out, or may not do what they promised; people may not understand, or may choose not to follow the procedures you’ve agreed on. There will need to be guidelines to deal with each of these and other potential pitfalls. Now that you've completed your planning, it's time to carry it out. The report, as explained previously, may be a written document, or may be in some alternative form. 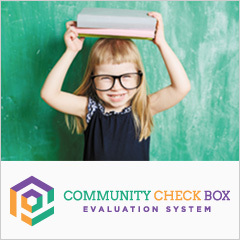 If it’s an evaluation, it might be presented in one way to the staff of the intervention being evaluated, and in another to funders or the community, depending upon your purposes. 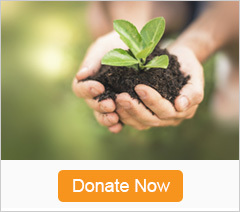 Action can range from adjusting a single element of an intervention as a result of an evaluation, to writing letters to the editor, advocating with legislators, taking direct action (a demonstration, a lawsuit), and starting a community initiative that grows into a national movement. In most cases, a CBPR effort is meant to lead to some kind of action, even if that action is simply further research. An action research project doesn’t end with the presentation, or even with action. The purpose of the research often has as much to do with the learning of the team members as it does with research results. Even where that’s not the case, the skills and methods that action researchers learn need to be cemented, so they can carry over to other projects. Evaluate the research process. This should be a collaborative effort by all team members, and might also include others (those who actually implement an evaluated intervention, for instance). Did things go according to plan? What were the strengths of the process? What were its weaknesses? Was the training understandable and adequate? What other support would have been helpful? What parts of the process should be changed? Identify benefits to the community or group that came about (or may come about) as a result of the research process. These may have to do with action, with making the community more aware of particular issues, or with creating more community activists. Identify team members’ learning and perceptions of changes in themselves. Some areas to consider are basic and other academic skills; public speaking; meeting skills; self-confidence and self-esteem; ability to influence the world and their own lives; and self-image (seeing themselves as proactive, rather than acted upon, for example). Maintain gains by keeping researchers involved. There are a number of ways to keep the momentum of a CBPR team going, including starting another project, if there’s a reason to do so; encouraging team members to be active on other issues they care about (and to suggest some potential areas, and perhaps make introductions that make it easier for them to do so); keeping the group together as a (paid) research consortium; or consulting, as a group, with other organizations interested in conducting action research. CBPR is not always the right choice for an initiative or evaluation, but it’s always worthy of consideration. If you can employ it in a given situation, the rewards can be great. Community-based participatory research can serve many purposes. It can supply accurate and appropriate information to guide a community initiative or to evaluate a community intervention. It can secure community buy-in and support for that initiative or intervention. It can enhance participants’ personal development and opportunities. It can empower those who are most affected by conditions or issues in the community to analyze and change them. And, perhaps most important, it can lead to long-term social change that improves the quality of life for everyone. As with any participatory process, CBPR can take a great deal of time and effort. The participants are often economically and educationally disadvantaged, lacking basic skills and other resources. Thus, training and support – both technical and personal – are crucial elements in any action research process. With proper preparation, however, participatory action research can yield not only excellent research results, but huge benefits for the community over the long run. The Action Catalogue is an online decision support tool that is intended to enable researchers, policy-makers and others wanting to conduct inclusive research, to find the method best suited for their specific project needs. Appreciative Inquiry as a Mode of Action Research for Community Psychology by Neil M. Boyd and David S. Bright. In this article, the authors highlight the potential for rethinking approaches to community and social change interventions that draw on participatory action research at the organizational and community level. Reflections on a Participatory Research Project: Young People of Refugee Background in an Arts-Based Program from Melbourne, Australia. Participatory Action Research by Caitlin Cahill. Youth Participation in Evaluation Research - Urban Youth Building Community: Social Change and Participatory Research in Schools, Homes, and Community-Based Organizations. Gosin, M., Dustman, P., Drapeau, A., & Harthun, M. (2003). Participatory action research: Creating an effective prevention curriculum for adolescents in the Southwestern US. Health Education Research, 18, 363-379. Hacker, K., Tendulkar, S., A., Rideout, C., Bhuiya, N., Trinh-Shevrin, C., Savage, C. P….. DiGirolamo, A. (2012). Community capacity building and sustainability: Outcomes of community-based participatory research. Progress in community health partnerships: research, education, and action, 6(3), 349-360. Ho, B. (2002). Application of participatory action research to family-school Intervention. (Research into Practice). School Psychology Review, 31(1), 106-121. Newman, S. D., Andrews, J. O., Magwood, G. S., Jenkins, C., Cox, M., J., & Williamson, D. C. (2011). Community advisory boards in community-based participatory research: A synthesis of best processes. Preventing Chronic Disease: Public Health Research, Practice, and Policy, 8(3), 1-11. Ozer, E. J. & Douglas, L. (2012). The impact of participatory research on urban teens: An experimental evaluation. American Journal of Community Psychology, 51(1-2), 66-75. Ozer, E. J., Ritterman, M., & Wanis, M. (2010). Participatory action research (PAR) in middle school: Opportunities, constraints, and key processes. American Journal of Community Psychology, 46(1-2), 152-166.